Understanding current trends in the medical industry and remaining innovative in our field is important to us. 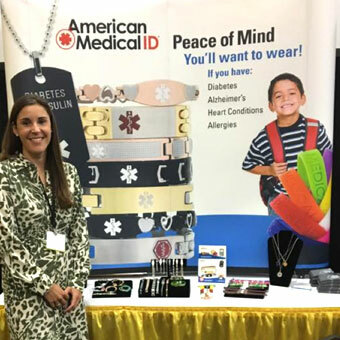 American Medical ID actively participates in health fairs and conferences. We enjoy keeping up to date with medical practitioners and building relationships with new partners. Email us to request our attendance or materials, such as medical ID displays or jewelry samples, for your next event.